MPs have criticised the 'Big Six' energy firms for using "Del Boy tactics" to sell gas and electricity. The Telegraph reports that the Energy and Climate Change Committee has slammed energy suppliers for "bamboozling" customers. The MPs reckon four out of every ten people who are convinced to swap energy suppliers by doorstep salesmen end up no better off. The report comes as the Consumer Focus watchdog claims nine out of ten people who bought energy deals from doorstep salesmen would not repeat the process. Ofgem, the government's energy watchdog, is investigating four of the 'big six' over their sales techniques. 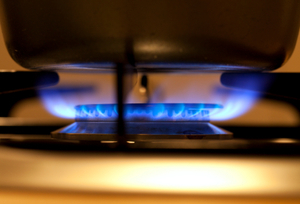 Scottish and Southern Energy, EDF Energy, Scottish Power and npower are under scrutiny. MPs are concerned that a dazzling array of complicated tariffs are making it hard for consumers to find cheap gas and electricity deals. Tim Yeo MP, chairman of the committee, said: â€œElectricity and gas tariffs are now so complex that even the Energy Minister admitted he got confused when trying to switch. We are worried that a lot of people are simply bamboozled by their bills and the vast array of different tariffs on offer.